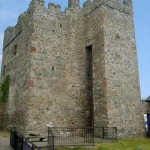 Kinbane is one of the many Castles of Ireland. It is set in a very dramatic location and built on a small rock promontory called Kinbane Head extending out into the sea. The path to it is narrow and stepped. 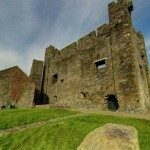 The name Kinbane means White Head and refers to the white limestone on which the castle stands and like many other Castles in Northern Ireland it is currently in ruins. Kinbane is a magical and haunting location where you can almost feel the past. To get to the castle you need to take the path close to the onsite toilets and descend long series of steps, coming back up can be tough enough depending on your mobility and fitness but like all things if you take your time and rest on the way then it’s okay. Sometimes the path is closed for safety reasons because the path is steep and there are no people on site if there is a fall. 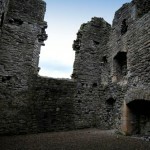 The castle was built by Colla of the MacDonnell clan, the clan who also built many other castles and buildings in the area. 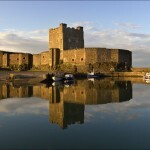 This was the time when the MacDonnell’s were the most powerful clan along the Antrim Coast. 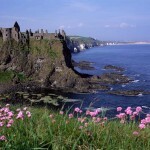 The hollow between the cliffs and the castle is known as ‘Lag na Sassenach’ (Hollow of the English), the name derives from an incident in the 1500s when a garrison of soldiers were sent from Carrickfergus to take the castle but got trapped. Surrounded by cliffs on one side and the sea on the other their fate was sealed and all were killed. 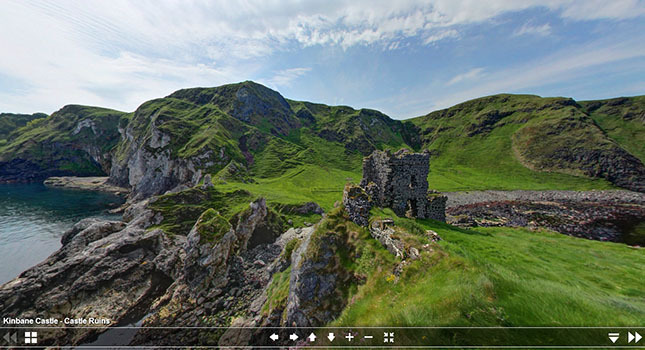 While Kinbane Castle is not one of the famous Castles in Northern Ireland, its dramatic location and the fact that it is situated next to a road that you are likely to travel as you tour the North Antrim Coast means that it is certainly worth a visit. So if you are doing a tour of the Antrim coast, leave a little earlier in the morning and you will have time for a quick stopover at this unique place to see in County Antrim.